When restoring antique radios you occasionally discover defective output transormer. Usually the primary winding. So happy that AES supplies universal transformers at an affordable price. The audio is better than expected. Looks like a new supply of these, better build, with better output posts. Sounds great in small push pull triode amplifiers like the 12B4A and the 6CS7. 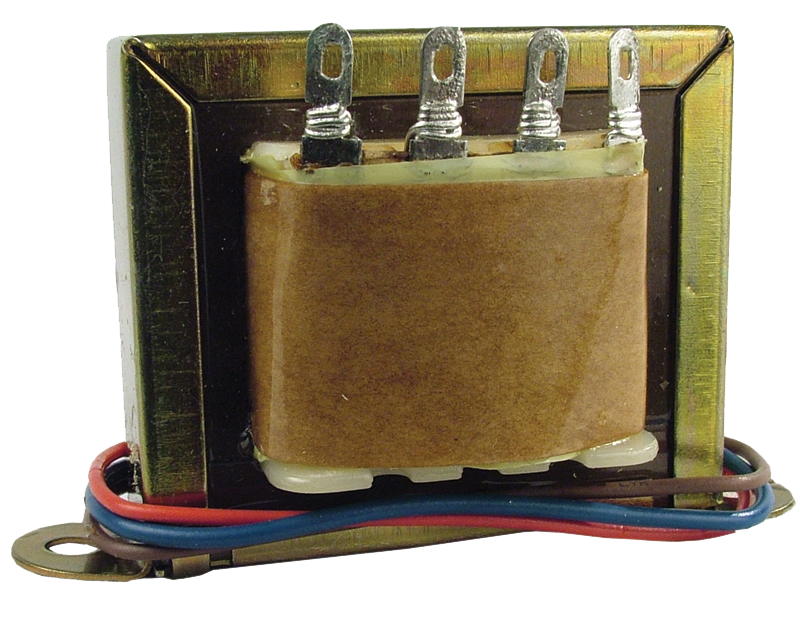 Used this output transformer in a Philco 41-629 receiver. It works fine! Used this product in a Philco 40-185 and it was easy to install and works fine. Reasonably priced. I bought the Philco as is at an antique radio show, disassembled it and refinished the cabinet. Then I replaced all the capacitors (from AES)and diagnosed an open primary circuit on the output transformer, a common problem on this model. I found a recommendation on the internet for this AES transformer and the electrical specs were close to the original, as far as I could tell from the limited info on the schematic. One blog reported hum and other issues from an impedance mismatch so I was a little skeptical. But it bolted right up to the same holes in the chassis and I wired to C, 1, and 2 on the secondary side and it works PERFECTLY!!! No hum or buz and the radio works every bit as good as I expected (for a 1941 model). I'm no electronics expert, self taught, so needless to say I was ecstatic to hear it play for the first time, maybe in decades. I'm so glad AES has resto products for a guy like me that likes to bring the dead back to life, so to speak. Thanks AES! I used this product in a 6V6 push pull circuit and it worked great. Has great sound. The multiple taps are a good feature. I used the transformer in a Crosley Super 6 Table Radio. The Radio has a push pull audio and the transformer made a perfect replacement. Sounds Great. Asked by Anonymous on December 24th, 2017. Yes it will, an EL84 is basically a miniature version of a 6V6GT and the 6V6 is listed as one of the types it will work with. Asked by Anonymous on December 26th, 2016. Asked by Anonymous on June 29th, 2017. Asked by tomjgun on September 25th, 2017. Asked by Anonymous on November 14th, 2017. Asked by Anonymous on December 26th, 2017. Asked by Anonymous on May 24th, 2018.
you can use P-T31 for this radio.it works great. Asked by ceharizona on August 30th, 2018.